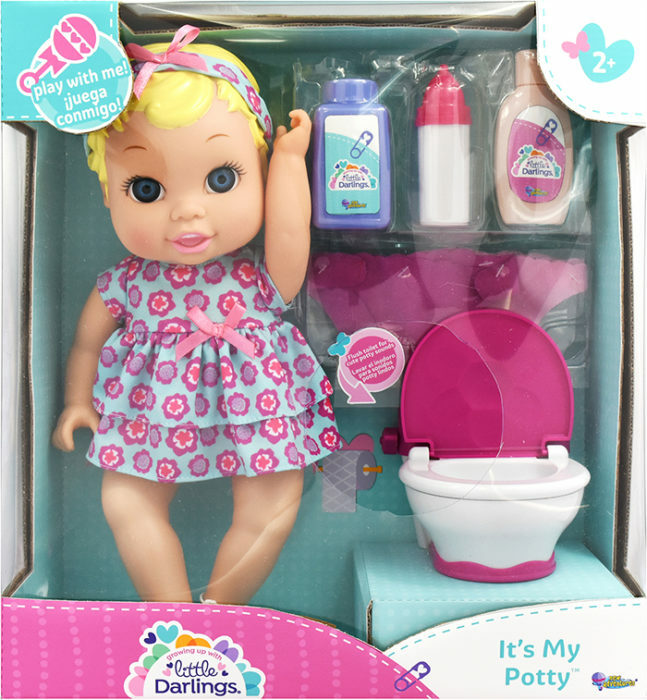 13” Baby doll with her very own potty! Flush the potty to hear fun sounds. Set comes with doll, potty, baby bottle, 2 play bottles and 2 fabric diapers.